THE most rewarding in years long cooperation with artists is the fact that they are able to surprise us with something quite unpredicted. In the case of Mariusz Hermanowicz who has been cooperating with the Mala Gallery since 25 years his each next exhibition is something new and unexpected. When more than two years ago he presented his Vilna, these photographs essentially strayed from developed by him formula of his hitherto pictures with his own, handwritten comments. They were pure, filled with dignity photographs of his beloved town, done with great veneration and precise workmanship. 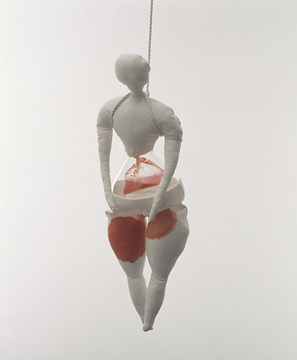 Now we have a quite new thing - the woman, her body. It is age-long subject in photography, which thanks to its immense popularity is perceived as something obvious, something that sooner or later every photographer has to approach. 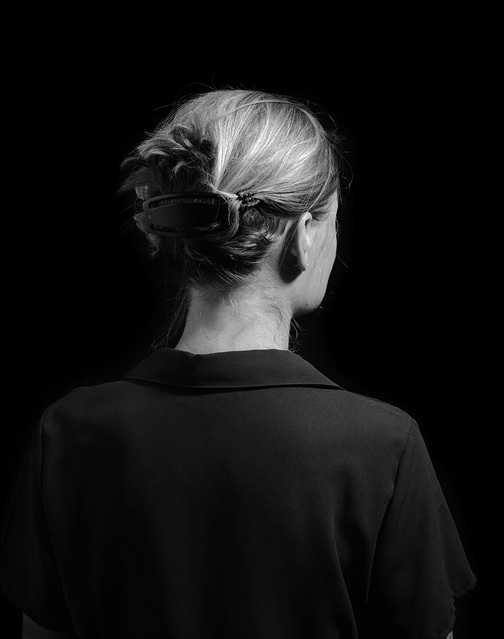 Mariusz Hermanowicz does it absolutely consciously and in order to enhance and to confront his searching he invites the two young French woman artists to participate in his exhibition. The exhibition of these three artists supposes to be, according to him, "an escape from stereotypes related to photographing female body". The task he imposes on himself and the invited partners isn't easy or banal. It was confirmed by the history of photography. But shouldn't we take such challenges again and again? Lucie Pastureau - - "Denudation"
Studied at the State Higher Film, Theatre and Television School in Łódź. Mariusz Hermanowicz since 1974 participated in many exhibitions in Poland and abroad, inter alia, in the Canon Photo Gallery in Geneva, the Photographers' Gallery in London, PAAS Gallery in New York. Took part in many collective exhibitions like the "Golden Amber" in Gdansk (awarded), 8th Salon of Photographic Searchings in Royan, the exhibition of Sociological Photography in Bielsko Biala (curator of a part of the exhibition), exhibition of the Polish Contemporary Photography in the Zacheta Gallery in Warsaw and many others. 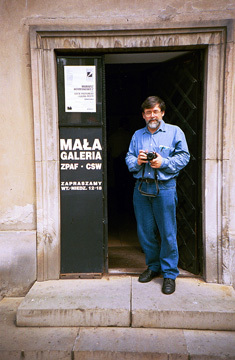 Since 1979 regularly exhibited in the Mala Gallery ZPAF-CSW in Warsaw where he presented his five individual exhibitions and took part in one collective exhibition. In 1998 participated in the 1st Biennial of Polish Photography in Poznan and in 2001 in collective exhibition "Time in Photography" in the Miejska (Municipal) Gallery in Czestochowa. His last major retrospective exhibition „Photographs 1968 – 2002” was presented in Częstochowa and Łódź in 2003. Since 1992 collaborates with the Fototapeta magazine, from 1997 with its Internet version. His works are in many public and private collections in Poland abroad. Lucie Pastureau was born in 1982. In June 2004 she has finished her third year of studies at the Institute for Visual Arts in Orleans. She writes very mature poems which she illustrates herself, but presenting them at the exhibition would be difficult - at least because of difficulties with translation. Nevertheless Lucie Pastureau takes up similar subjects - with similar sensitivity - in her photographic and graphic works which partially have autobiographic character. Laura Pesty was born in 1977. She is a graduate of the Institute for Visual Arts in Orleans. Currently she runs classes of visual educatrion in schools around Orleans. Her peculiarities: large cheeks and explicit similarity with the truest "Kiki" of all Kikies and first and foremost her fondness of dolls. "... my dolls allow me to imagine and create the world of my own. They let me to escape reality for a few hours. I can give myself to my dreams, I can again become the girl I'm not anymore..."